With its distinctive approach to hospitality (it's the home of Spain's hotel industry), miles of bucolic interior landscapes, highly regarded golf and tennis offerings and a traditional gastronomy scene that's experiencing a renaissance, this largest of Spain's Balearic islands puts a Spanish footprint on barefoot chic. Retreat to Mallorca's north-west side for a pampering vacation. 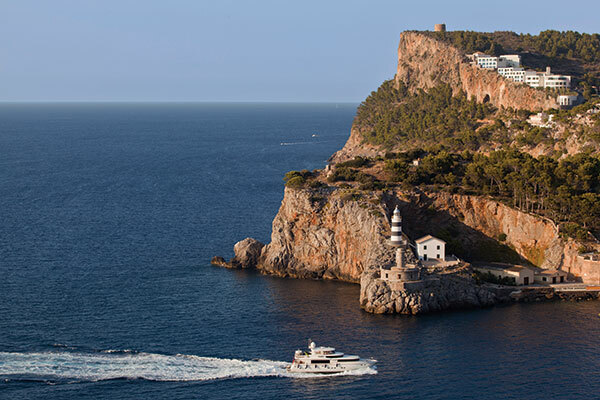 Positioned on a cliff above the stylish beach town, Soller, Jumeirah Port Soller Hotel & Spa stands overlooking the sea. Comprised of scattered, sun-kissed stone buildings, the hotel evokes a timeless village. Some suites have outdoor Jacuzzis, ideal for stargazing. While Jumeirah's Sunset Bar wows with 360 degree views, its talise spa spoils with locally inspired treatments — such as the orange Mediterranean Wrap (room rates start at $450 a night). Escape from the heavily populated places like the urban capital city Palma de Mallorca to explore lesser traveled parts of the island. An emerald-hued, hilly terrain, dotted with Don Quixote-like windmills, filled with orange and almond groves, Mallorca has loads of fincas (traditional farmhouses). Many have been refurbished as galleries, olive oil farms, hotels and restaurants. serpentine mountain roads, moderate weather all year, and cliff-side pathways draw legions of cycling buffs and several national bike teams for practice year round. Two of Mallorca's best restaurants make you work for your supper. To eat at Sa Forradada, you'll need a boat (or be willing to hike down a rocky trail). Tucked into a cove, this thatched-roof restaurant serves a famous paella, cooked the traditional way over an open fire, from a decades-old family recipe. To eat what's arguably the best lamb in the world, you'll endure the harrowing hairpin turns to Es Verger, located just below Alaro Castle in western Mallorca. Featuring melt-in-your-mouth, big oven flavor, the lamb comes with equally tasty rustic side dishes.